Alfredo Acevedo was traveling on June 9, 2001 in a 1984 White Chevrolet Van southbound on State Road 93 (Interstate 75) in Charlotte County. Acevedo’s blood alcohol level was almost twice the legal limit when he lost control of his vehicle causing it to overturn. Acevedo had two passengers in the vehicle that died, along with two others who sustained incapacitating injuries as a result of this crash. Acevedo is wanted for two counts of DUI Manslaughter, two counts of DUI Injury and one count of DUI Property Damage. Brian Dale Andrews was traveling on June 30, 2007 in a 1992 White Cadillac northbound on US 27 when he lost control and entered the south bound lanes. The front of Andrews’ vehicle struck a south bound vehicle killing both of the occupants in that vehicle before colliding with another south bound vehicle. Andrews was arrested for Driving on a Suspended Driver’s License resulting in death but later failed to appear for the arraignment of those charges. Andrews also has two active warrants for DUI Manslaughter. Gaspar De Gaspar was traveling on February 3, 2015 in a 1996 Yellow Thomas passenger bus at a Marathon gas station in Indiantown. De Gaspar was backing the bus in the parking lot and two men were sitting on a bench in front of the station. For reasons yet to be determined, the bus failed to stop and struck both men, pinning one between the station and bus. That person was pronounced dead on the scene. De Gaspar exited the bus and left the scene. 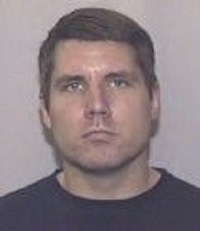 De Gaspar was identified as being from Indiantown. An arrest warrant for Hit and Run was issued. 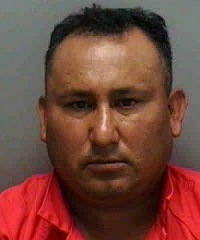 Eusebio Guido Duarte was traveling on July 10, 2011 in a 1998 Green Mercury Villager van, eastbound on State Road 90 in Miami, while driving under the influence. Duarte attempted to turn left at the intersection of State Road-821 and traveled into the path of and struck an oncoming motorcycle. Both the motorcycle rider and passenger were fatally injured in this crash. Duarte’s last known location was in Miami. Duarte has an active warrant out of Miami-Dade for two counts of DUI Manslaughter. 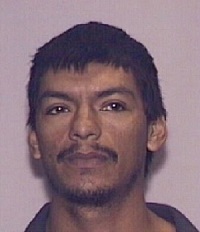 Jose Martin Flores was traveling on February 19, 2012 in a 2005 Gray Ford F150 pick-up westbound on State Road 50 in Orlando . Flores was operating a while under the influence and lost control of his vehicle when he traveled from the westbound lanes, through the center median, across the eastbound lanes and onto the south shoulder. Flores’s vehicle overturned ejecting him and his passenger. Flores received injuries and was transported to Orlando Regional Medical Center. Flores’s passenger received fatal injuries. Flores’s last known location was in Orlando. Flores has an active warrant out of Orange County for a count of DUI Manslaughter. Carlos Augusto Lacayo was traveling on March 05, 2011 in a 2010 Gray Honda Accord northbound on I-95 in Miami, when he approached an area where a previous crash had occurred and the crashed vehicle was in the roadway. There were five people from the previous crash who were standing outside the vehicle, against a barrier wall. Lacayo swerved to miss the crashed vehicle and lost control, sliding into the barrier wall and striking all five people, all of which died as a result of their injuries. Lacayo may have fled to Honduras. Lacayo has an active warrant out of Miami-Dade for five counts of DUI Manslaughter. Agustin Lara-Nonez was traveling on October 22, 2006 in a 2006 Silver Ford Truck westbound on SR 82, approaching Sunshine Blvd. Due to a previous fatal crash investigation, a Lee County deputy had positioned her marked patrol car facing south in the westbound lane with emergency lights activated. Lara-Nonez failed to abide by the detour and, as a result, the front of his vehicle struck the deputy’s vehicle, and the deputy was killed. 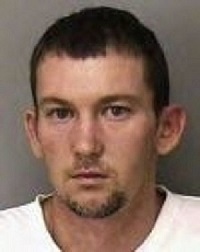 Lara-Nonez was subsequently charged with DUI involving death and has an active felony warrant for his arrest. 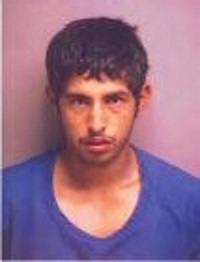 Lara-Nonez is believed to have fled to Mexico. 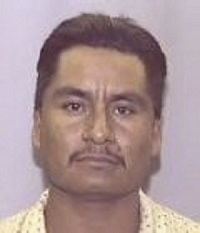 Carlos Modesto was traveling on June 22, 2002 in a 1993 Dodge Dakota on State Road 404 when he struck a vehicle and subsequently killed a 14 year old boy and seriously injured another person. 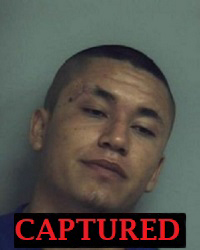 Modesto cannot be found and has refused to come forward for questioning and is wanted for vehicular homicide. Juan Morales was traveling on October 20, 2002 in a 1993 Green Ford Explorer west bound on Willow Road in Hillsborough County. Morales entered US 301 in the southbound lane, in an attempt to travel north bound and into the path of the oncoming victim’s vehicle. Morales’ vehicle collided head-on with the victim’s vehicle. The collision caused the death of one victim and the serious incapacitating injuries to another. Morales is wanted for DUI Manslaughter. 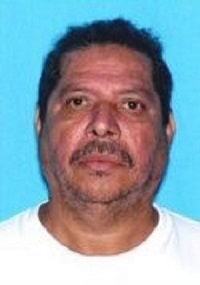 Jose Arturo Palomino was traveling on February 28, 2009 in a 1996 Silver Mitsubishi Eclipse on I-95 south bound, south of Sample Road in Pompano Beach. Palomino struck and killed a 23 year old as she stood next to her vehicle on the shoulder of the roadway. Palomino fled the scene and abandoned the vehicle in a field at NE 35 Street and NE 8 Avenue in Oakland Park. 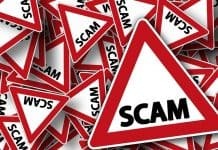 Palomino phoned the owner of the vehicle and stated that he was involved in a bad accident and apologized for taking his car without his permission. A warrant was issued for the arrest Palomino, for Leaving the Scene of a Crash Involving a Death. 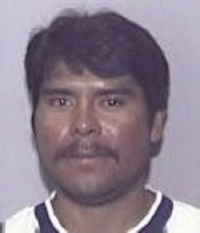 Palomino may be using the name of Jose Arturo Arguiello and may have fled to Mexico. 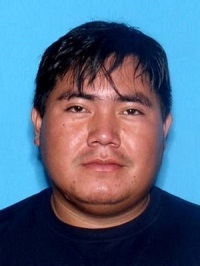 Jerbin Yobani Perez was traveling on November 23, 2012 in a 2001 Gray GMC 1500 truck on A1A near the intersection of SE Aviation Way when the truck veered into the oncoming lanes of traffic and struck the victim’s vehicle, killing the victim. Perez is wanted for DUI manslaughter, DUI property damage, driving while license revoked and other related charges in reference to a fatal traffic crash. Perez has possibly fled to Guatemala. Eric John Riters was traveling on November 8, 2002 in a 1999 Oldsmobile northbound on SR 423 at a high rate of speed when he lost control and struck a legally stopped vehicle that was westbound on 33rd Street. The front of Riters’ vehicle struck the driver’s door of the stopped vehicle. The collision caused fatal injuries to the driver and two occupants of the stopped vehicle. 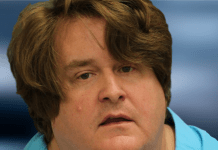 Riters was legally intoxicated and operating his vehicle at approximately 97 miles per hour in a 45 mile per hour zone when this crash occurred. 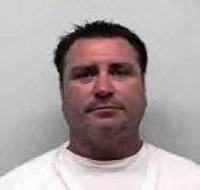 Riters has three active warrants for DUI Manslaughter. 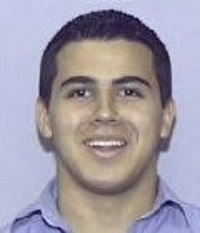 Roman Saebastian Saldarriaga was traveling on September 1, 2003 in a 1998 Blue Volkswagen GTI on CR846 when caused a crash in Collier County on. Saldarriaga’s vehicle struck the rear of another vehicle, with the impact subsequently forcing the other vehicle into the westbound lane. The vehicle was then struck by a westbound pickup truck. The crash resulted in one fatality and other persons being injured. There are active warrants for DUI Manslaughter, DUI Personal Injury and DUI Property Damage. Saldarriaga is believed to have fled to possibly Canada, New York, New Jersey, Miami or is possibly in hiding in Bonita Springs, Florida. Jose Ayala Santiago was traveling on January 12, 2003 in a 1993 Ford on State Road 90 when he caused a crash. Santiago steered his vehicle across the centerline and into the eastbound lane of State Road 90 and his vehicle collided with another vehicle in a head-on crash. The crash resulted in one fatality and other persons being injured. There is an active warrant for DUI Manslaughter for Santiago. James R. Wasileski was traveling on February 03, 2007 in a 1997 Green Ford Taurus northbound on Burnt Store Road, while under the influence. Wasileski lost control of the vehicle and collided with a tree. The right front passenger, Mark E. Burlison, died as a result of injuries sustained in the crash. Wasileski has since left the state. 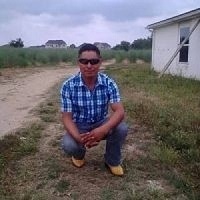 His last known location was in Texas but he may have fled to Mexico. Wasileski has an active warrant out of Charlotte County for DUI Manslaughter. 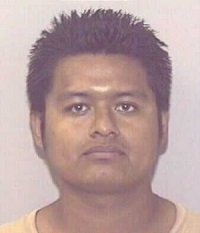 Rafael Zuniga-Talavera was traveling on October 24, 2004 in a 1995 Ford westbound on 21 st Street East near Palmetto. Zuniga-Talavera failed to yield the right of way to a motorcyclist causing a fatal traffic crash. After the collision Zuniga-Talavera attempted to flee the scene, but his vehicle was inoperative as a result of the collision. Zuniga-Talavera was arrested and charged with DUI Manslaughter, DUI Property Damage, and driving without a valid driver’s license at the time of the crash that resulted in the death of the motorcyclist. Zuniga-Talavera then bonded out of jail, but failed to return for his trial. 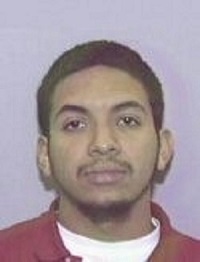 Zuniga-Talavera has active warrants for his arrest. He is known to have a passion for playing soccer and may have fled back to his native country of Mexico.